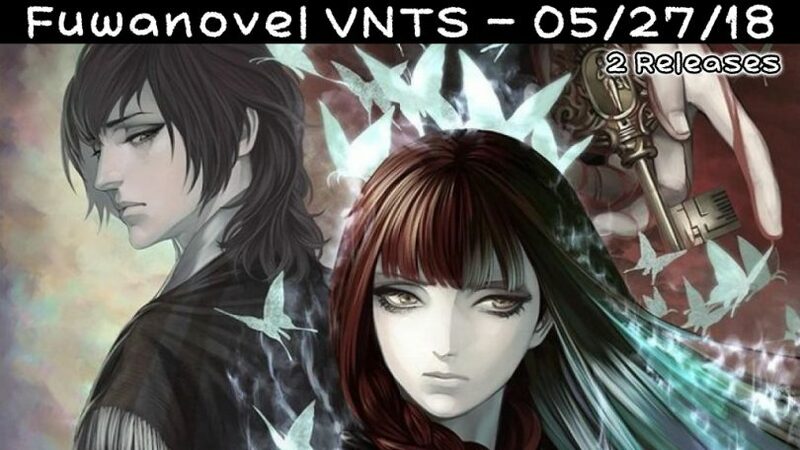 This week’s header image comes from the House in Fata Morgana fandisc, one of this update’s two new releases. 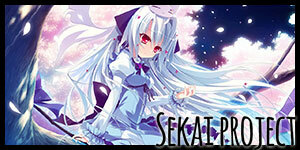 2236 A.D. (Sekai Project) – Released! Get the all-ages version on Steam here and the 18+ version on Denpasoft here. 7’scarlet (Aksys Games) – Released! Buy it on Amazon here. A Clockwork Ley-Line 2 (Sekai Project) – Waiting on code so engine work can start. 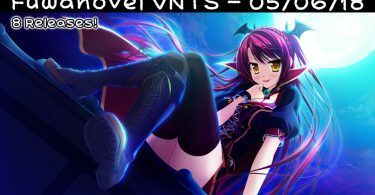 Evenicle (MangaGamer) – Beta complete. In scripting. Hapymaher (MangaGamer) – Beta complete. In scripting. Higurashi Retranslation (MangaGamer) – Chapters 6 releasing June 14th. Pre-order it on MangaGamer here. Chapters 7-8: Fully edited. The House in Fata Morgana – A Requiem for Innocence (MangaGamer) – Released! Buy it on MangaGamer here or on Steam here! Kuroinu (MangaGamer) – Chapter 3 releasing May 31st. Pre-order it on MangaGamer here. Loca-Love (Front Wing) – Announced this week! Japanese and English release date set to Fall 2018. Official Site. Shining Song Starnova (Sekai Project) – In QA. 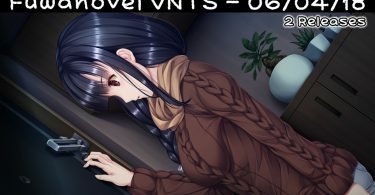 Sisterly Bliss (Tsui Yuri) (MangaGamer) – Tsui Yuri fan translation picked up for official release! Fully translated and edited. Official site. Sumire (Sekai Project) – Announced at Anime Central. (3/11/18) Detailed update (link). No patch ETA as of yet, and a partial patch is not happening. 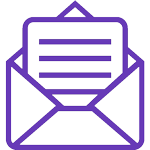 To demonstrate the quality of their work, they have released samples from each route for evaluation. 19 Lovely x Cation 2 Lovely x Cation 2 Dekiru Translations New! Partial patches after each route, 100% patch after Seine. TL: 60% (Link). Note: this is now considered outdated and innacurate. Released! Buy the physical version on J-List, or the digital version on JAST USA. Will remain on this list until 06/02. Will be written by Setoguchi Renya, scenario writer for Kira Kira and Swan Song. Note: Has not officially been announced by MangaGamer, but it is assumed they will be the ones doing the translation. 8 Higurashi (Retranslation) Higurashi (Retranslation) New! Chapters 6 releasing June 14th. Pre-order it on MangaGamer here. 9 The House in Fata Morgana - A Requiem for Innocence The House in Fata Morgana - A Requiem for Innocence New! Released! Buy it on MangaGamer here or on Steam here! Will remain on this list until 06/16. Being developed by MangaGamer itself. Chapter 1 Released! Get it on MangaGamer here! Chapter 2 Released! Get it on MangaGamer here! Chapter 3 releasing May 31st. Pre-order it on MangaGamer here. 1 2236 A.D. 2236 A.D. New! Released! Get the all-ages version on Steam here and the 18+ version on Denpasoft here. 4 Boku to Koisuru Ponkotsu Akuma Boku to Koisuru Ponkotsu Akuma New! 7 A Clockwork Ley-Line 2: Daybreak of Remnants Shadow A Clockwork Ley-Line: Daybreak of Remnants Shadow New! Waiting on code so engine work can start. QA finished. Waiting on fixes. Get the latest updates at their official site here. 2 7'scarlet 7'scarlet Aksys Games New! Released! Buy it on Amazon here. Will remain on this list until 06/23. Fan translation picked up by Degica. Note: It is unknown if IXTL still plans on releasing it, after having assumed control of the Muv Luv project. Released! Buy it on Steam! Muv-Luv Alternative released on Steam! Get it here. Muv-Luv Extra and Unlimited released! Buy it here. 18+ patch on Denpasoft here. Estimated order of KS Fulfillment: PS Vita port -> Photonflowers -> Photonmelodies -> Android port (link), 18+ patch sometime after Vita port. Fuuuuuck, I forgot Loca Love. Adding it now. Every two or three weeks is fine, we know how busy you guys are. I really appreciate these translation updates! how to know your a fuwanovel fan??? patiently waiting for fuwanovel vnts while reading comments on reddit vnts status without reading the vnts at all. I really appreciate these. Thank you! I agree with Tsukishiro that every two weeks is totally fine. It is still helpful. 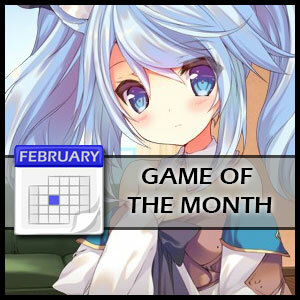 You missed the release of 2236 A.D. by Sekai Project earlier this month. Beside that I would like to thank you for taking the time to write these. I appreciate these updates! Added. Thanks for the heads up. It’s hard to keep track of releases that happened weeks ago :(. always appreciate ur work Fuwanovel!! Have a nice day!! This week VNTS Review, and I’m glad that the VNTS was back on track here. Hope you’ll enjoy my review here. Amayui Castle Meister got a prologue translation patch, so does that count as an update? Some news about Flowers -Le Volume sur Ete-: https://twitter.com/merumeruchann/status/1001385021096148993 (and the quoted twit). Sumire? I’m defintely interested in this game. Could this be the first NekoNeko Soft official release in English? 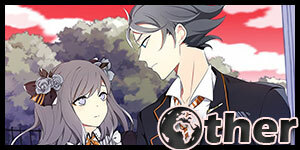 No Witch Garden TL update. Hang in there TL team! Trinoline almost done with TL too.